Fossil Sorting Kit, Biology/Life Science: Educational Innovations, Inc.
Each two-pound bag typically contains more than 100 assorted fossils along with a sorting guide. This kit is perfect for introducing students to organisms that existed over 400 million years ago! The sorting guide includes pictures of many of the fossils along with information about their approximate age and modern relatives. Kit typically contains fossilized ammonites, trilobites, coral, gastropods, and at least three other types of fossils. While we do our best, we cannot guarantee exactly which fossils or how many of each will be in each package. Download the pdf of this lesson. Bought 5 kits thinking maybe some missing items. Sorted each and found good specimens for each listed fossil in each bag! Pulled out the few that were covered in matrix so students could practice being a paleontologist. Very happy with purchase. Arrived in record time. This was definetly a bag of fossils! The mix is not very great only one ammonite and no trilobites a whole lot of corral. I ordered one set first just to see what I would get and I was pleased with the collection. I work at a college as the technician and we are going to plan a lab around it. I have ordered two more sets since. We have not used them yet as it is too late in the semester, but I think the students will enjoy picking through the sets. I rinsed them once I received them in a mesh strainer and store them in a clear tote. Just one little complaint is that in the first set there were about 4 trilobites. In the two other sets there was zero in one and only 1 and 1/2 in the other. These are the special finds and I feel there could be a couple in each bag. I know it is random, but just to throw a couple on top would be easy? Just a thought. I used these fossils and the GREAT identification sheet at summer camp. I made a matrix, buried the fossils, and kids extracted them with used dental tools. We held a Paleontology Day and put sand and the fossils together in a plastic tote and preschool age children used paint brushes to uncover the fossils for their very own dig. I have used the fossil pack before for student observations but this summer they will use them to make molds in green sand. The fossils in the sorting kit are rough and weathered obscuring details. I had to wash and sort out the unusable pieces. Also, the molds will probably only work as a demo for my large middle school classes, not my original intent. I was very pleased with the fossils included in this kit. Most were large and complete and there were many of them. I would certainly recommend this to anyone interested in fossils. I teach science fellow home schooled elementary and middle school students. This is a great pack of fossils! I was glad to see an identification chart accompanying the bag. The kids had lots of fun digging through them and sharing their fossil stories! Most are in 1.5 inch and smaller range, but distinct and detailed fossils. We ordered the fossil kit to explore fossils with our third graders. The amount of fossils we received is amazing for one kit! They also have a great variety. If you study fossils, this is an excellent resource to have and I strongly recommend making the purchase. When we first received the bag of fossils we felt a little jipped as there were a lot of really small pieces and quite a few fossils that were broken with only 1 trillabite. The ones that were fair size and not broken were pretty awesome though. Next time I will go to an actual store to ensure that what I am buying is up to my expectations. The delivery and free shipping was very satisfactory. The price was also fair. These will be great for my science class next year. My 7 year old also loved helping me sort them, and the quailty was so good, that I ended up giving him several for his collection. When I received my package of fossils, I received a note telling me that due to a lack of availability of Trilobite fossils, I would be getting substitute fossils. Great, I thought...the one fossil every kid wants to see and there won't be any. Imagine my surprise when there were so many amazing fossils that the kids won't even miss the Trilobites! The Echinoid fossil that was sent in place of the Trilobite is truly amazing and will be one that is recognizable to the kids. I can't wait for fossil week during our Summer Reading program. The kids are going to have a great time identifying the fossils. I received 2 pounds of primarily broken bits and pieces. I never expected to receive museum quality but more than 50% of the fossils were unidentifiable by my middle school students. Owner Response: Jeff, I'm so sorry you received a bad batch. Since these are true fossils there will always be some that are broken and possibly unrecognizable. They are priced with this in mind. However, the percentage should certainly not be over 50%! We will be more than happy to replace the product, or give you a full refund. We got what we paid for in these fossils very complete specimens of each excellent teaching tool and can be used for rewards or science fund raiser. Used this product for a 4th class covering rocks and minerals. I made fossil digs with aluminum pans, sand, and pebbles and added the fossils to them. The kids had s great time looking for the fossils and had to sort through the pebbles to distinguish between the fossils and pebbles then identified them in the id sheet. There were some fossils in the set that were difficult to distinguish, but the whole project and product worked out very well. We used these for a fossil dig at my daughter's 6th birthday party. The kids had a blast. They were much bigger than I anticipated! Great product and fast shipping. Thanks for providing a wonderful resource for my students. 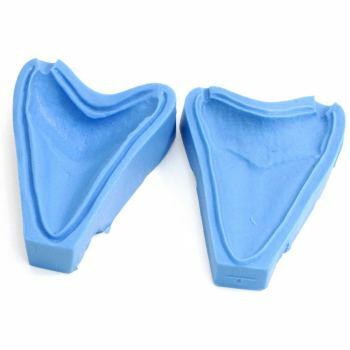 When kids sort them out, they think they are replicas; made with molds. With some small magnifiers, I challenge them to find 2 exactly the same. Of course they can't. They dig into it for hours and it goes great with the shark teeth, too. I love this product! 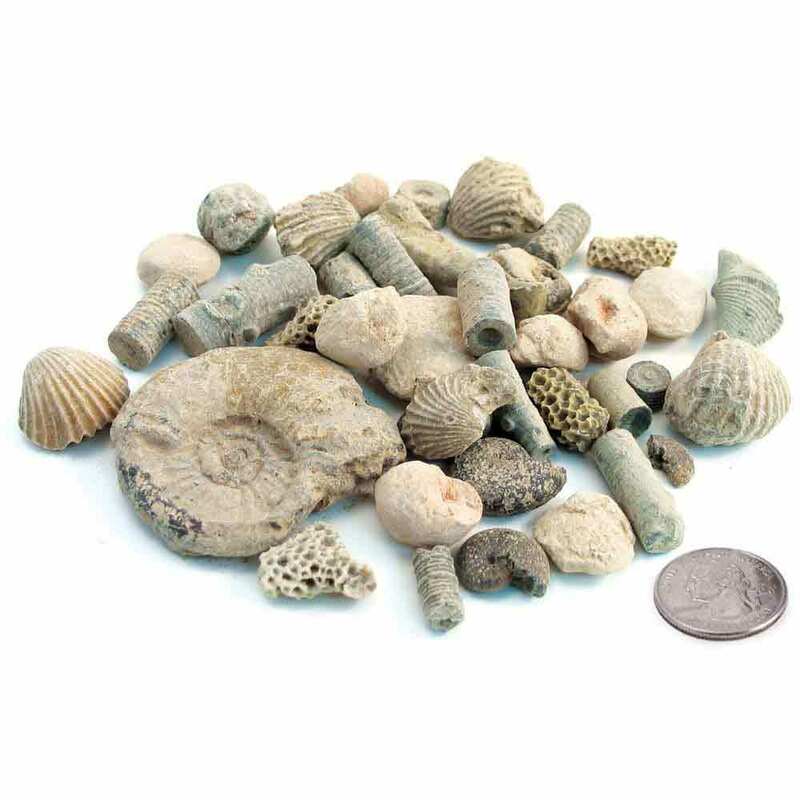 I bought these for my third graders as they studied fossils. There was a great assortment of fossils and I love that it came with a cheat sheet for identification! The kids even picked some fossils to take home and start their collections. Will be buying more! Fossils, imagine being able to give your students something older than they think you are. I do rock identification workshops with classes. At the end of the workshop everyone takes home a geology collection with specimens that they have learned how to identify. These fossils are so reasonably priced that it is very affordable to add one to each geology kit. The identification sheet makes it easy for students to identify the fossil they selected. I use this wonderful collection of fossils in a "mini-dig" for third graders, as part of a fossil lesson. My students find them, locate them on the description sheet, and describe them to classmates.Along with EI's shark teeth, this is an exciting, interactive way to learn about prehistory. I recently used the same kit for a home school day, and parents were as awed as their children! 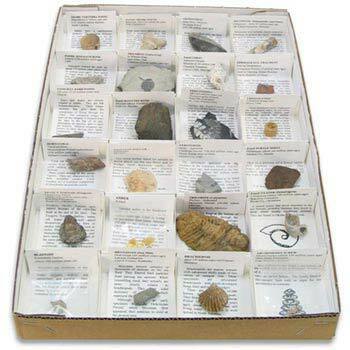 I have ordered these several times to make my own fossil dig for kids and each time the assortment of fossils is great. You also get many more than I would have anticipated. Students can use the assorted fossils in the Fossil Sorting Kit to identify evidence, to identify patterns in rock formations and fossils in rock layers to support an explanation for changes in the landscape over time. Students can use the assorted fossils in the Fossil Sorting Kit as evidence to construct a scientific explanation based on the fossil record from rock strata for how geologic time scale is used to organize Earth's 4.6-billion-year-old history. 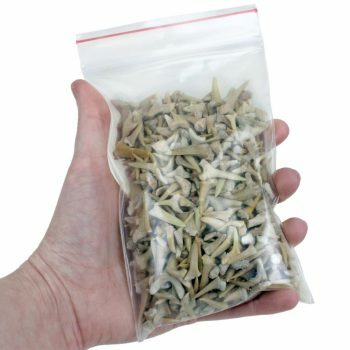 Students can use the assorted fossils in the Fossil Sorting Kit to analyze and interpret data for patterns in the fossil record that document the existence, diversity, extinction, and change of life forms throughout the history of life on Earth under the assumption that natural laws operate today as in the past. 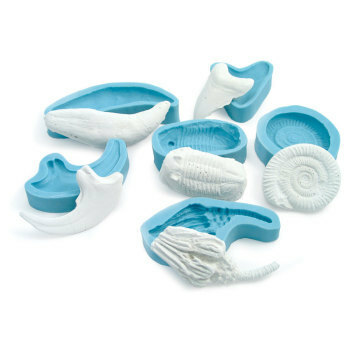 Students can use the assorted fossils in the Fossil Sorting Kit to apply scientific ideas to construct an explanation for the anatomical similarities and differences among modern organisms and between modern and fossil organisms to infer evolutionary relationships. Students can use the anatomical structures of the assorted fossils in the Fossil Sorting Kit as evidence to communicate scientific information that common ancestry and biological evolution are supported by multiple line of empirical evidence. Students can use the assorted fossils in the Fossil Sorting Kit and information about the fossil record to evaluate the evidence supporting claims that changes in environmental conditions may result in the extinction of species. Students can use the assorted fossils and Fossil Sorting Guide included in the Fossil Sorting Kit to gather information and evidence to support investigations for Geologic History. With close examination and research about the fossils, students can learn about the fossil record, Earth's History, common ancestry, diversity of life and adaptation. Any hands-on activity with fossils will create a strong foundation for Geologic History lessons at all grade levels.